congratulation to all those who have won the previous funny bet, But remember that you have small chance of winning this game, so stake what you can afford . 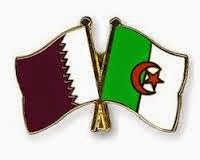 Algeria will play in a friendly match against Qatar today. Qatar is the host and the clear underdog in this match. They surely have the weaker team and in my opinion it is right that they are the clear underdog although they have the home advantage. Algeria is on the 18th place in the FIFA world ranking. They are one of the strongest teams in Africa and i think they will show offensive football tomorrow. they will create many scoring chances and i expect them to score often here. The host will get some scoring chances by counter attacks. Chile will play in a friendly match against Iran on Thursday. Iran is the host in this match. They have the weaker team and they are the clear underdog in this match. I expect to see a strong team from Chile. At the moment they have a really strong team and i think they will win this match clearly. Iran is not weak too. I think they will have some counter attacks, by which they can create scoring chances. In my opinion the chances to see many goals in this match are good. The odds should not be that high.